It is a long-familiar fact that Tiruchirappalli is a pride of the southern state of Tamil Nadu that it houses some of the most illustrious religious sites in the country. Besides, in terms of the number of domestic and international visitors the city receives, especially for its religious sites are humongous when compared to many other notable urban centers. As a matter of fact, the city maintains a festive aura throughout the year as one or the other historic temple observes festivals that are associated to the temple with sheer devotion and fervor. The city is dotted with hundreds of religious sites, be it a temple or church or mosque, Trichy is one among the most-visited pilgrimage sites in all of South India. 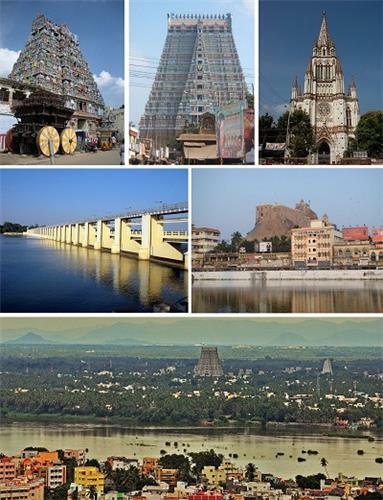 Some of the renowned religious sites of Trichy include Srirangam Sri Ranganathar Swamy Temple (the largest functioning Hindu temple in the globe), Rockfort Ucchi Pillayar Koil (7th-century Hindu temple), Arulmigu Uthamar Kovil (a rare temple where Hindu trinity are found in a same temple complex), Woraiyur Vekkaliamman Temple (no roof for the primary deity), Thirupanjali Arulmigu Gneelivaneswarar Temple, Thiruvanaikaval Jambukeswarar Temple (one of the Pancha Bhootha Sthalams) and the list goes on without an end in sight! When talking about the rarest of the rare religious site of Tamil Nadu, one name keep popping up, not to mention, that is absolutely unmissable. In that case, Trichy is blessed to have the Nandrudayan Vinayaka Temple in its soil. Unbelievably singular in its own way, the Nandrudayan Vinayaka Temple is a pride of Trichy that is dedicated to the god of new beginnings, knowledge and wisdom Lord Ganesha. One of the widely revered Hindu deities, Lord Ganesha offer his blessings here in this unique temple in the name of Sri Nandrudayan Vinayagar. Let's get to know more about this historic temple located in Trichy in detail. The unique Nandrudayan Vinayaka Temple in Trichy is located the East Boulevard Road in the locality of Devathanam (Postal code: 620002). Though the accurate age of the temple is unknown due to its extreme ancientness, the temple is glorified in the sacred verses of 7th century Tamil Nayanars and Thirugyana Sambandar. What is more, the temple has been glorified by Kanci Maha Periyavar Sri Chandrasekharendra Saraswati Swamy. Broadly speaking, the Nandrudayan Vinayaka Temple is regarded as one of the oldest temples in all of Tiruchirappalli. Some believe that this ancient temple is a section of the far-famed Rockfort Ucchi Pillayar koil. Regrettably, the local population in Trichy knows nothing much about this temple, thanks to the surrounding buildings and structures for dwarfing the history nearly! 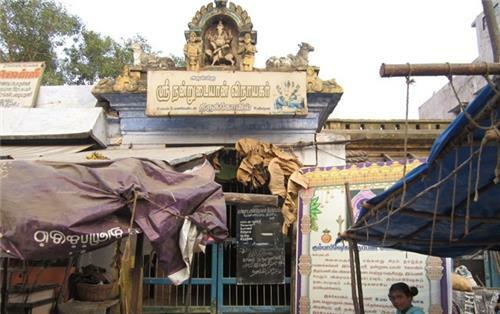 Murugan theatre, one of the oldest cinema halls of Tiruchirappalli is the name to ask for. The Nandrudayan Vinayaka Temple is just about 100 yards away on the same side as the cinema hall. Even today, the temple stands as a fine example for the Dravidian style of architecture. The Nandrudayan Vinayaka Temple is one of the very few temples in the country where the elephant god Lord Ganesha offers his blessings in the form of human. Yes, you read it right; this is the only temple in the region, which houses the idol of Vinayaka (Lord Ganesha) in human form. After entering the temple, one can find the Anjeneyar (Lord Hanuman) deity, facing the road. After crossing the Anjeneyar sannadhi, in the other side, devotees can get the blessings of the massive Lord Ganesha idol with the well known elephant head deity. This usual Lord Ganesha is regarded as the presiding deity of the Nandrudayan Vinayaka Temple in Trichy. 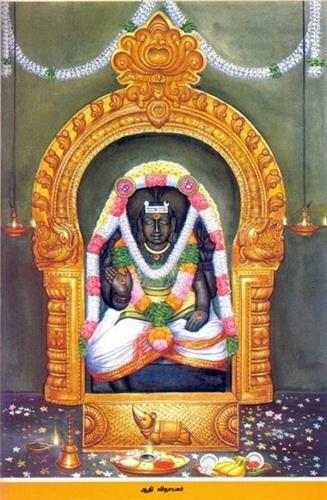 The presiding deity, that is, the Nandrudayan Vinagar is seen ornamented in a Naghabharanam (serpent jewelry) around his waist. It is highly strange to find the monumental Nandhi (the vahana of Lord Shiva) in front of the main deity of this temple. Proceeding further to the right side of the sannadhi of the presiding deity, it is time to get dumbstruck! Well, the small shrine houses the short and plump Lord Ganesha in the form of a human, revered as the Nara mukha Ganapathi or Adi Vinayagar. Nara = Human, Mukha = Face and therefore 'Human Faced' Ganesha, different than the elephant-faced form that we all recognize and revere. Inside the smaller shrine, idols of Shri Adi Shankaracharya also known as Sankara Bhagavatpadacarya, Sadasiva Brahmendra (an Advaita philosopher, a composer of Carnatic music and a saint), Veda Vyasar (the author of the Sanskrit epic of Mahabharata), Saivaite saint Pattinathar and Goddess Gayatri. Some of the other important shrines of the Nandrudayan Vinayaka Temple include Tamil god Lord Murugan, Goddess Durga, Navagraha sannadhi, Lord Ayyappa and so on. 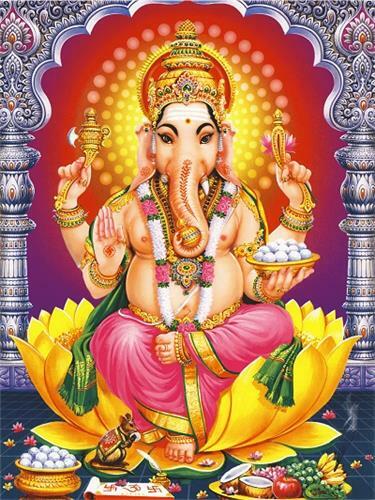 On Thursdays, special poojas are performed for Nara mukha Ganapathi. The annual music festival organized by the Nandrudayan Vinayaja Temple receives musicians and devotees from all over the state.